The nations of Asia now make up more than half of the world’s population. With increasingly affluent, educated middle classes and vigorous, innovative industries, they are more populous and powerful than ever before, and their influence on the rest of the world is only growing. 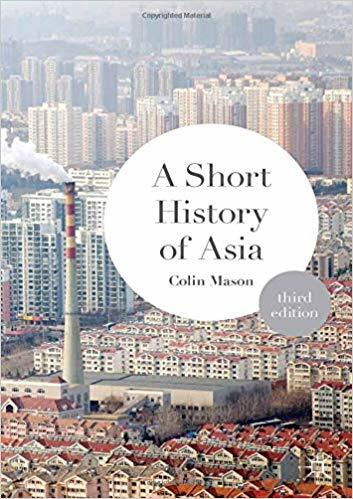 Colin Mason provides a clear, readable introduction to their histories and traditions, from the Stone Age right up to the present day. This thoroughly revised, updated and expanded third edition contains new chapters on Mongolia, Nepal and Bhutan, separate expanded chapters on the South Asian nations, and revised chapters on all the modern states. A new introduction explores the nature and implications of the new politics of ‘guided democracy’, and the current clash between industrialisation and the consequences of climate change. Enriched with maps and a guide to further reading, this book is the essential guide to the history of a fascinating continent and its peoples.